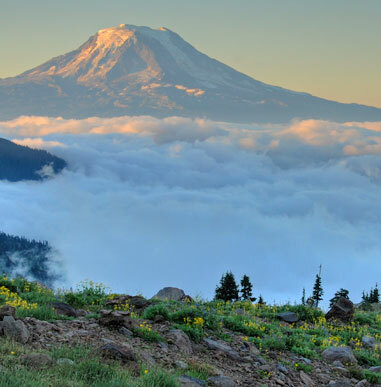 Why Climb in Mount Adams with Alpine Ascents? Important to success and enjoyment for our climbers is the ability to adjust our climbing schedules as needed to account for ever-changing mountain conditions. Rather than throwing up our hands and ending an expedition when a route may become unclimbable, we treat these situations as challenges and, thanks to our experience and local expertise, we can change locations mid-expedition if necessary and offer alternate climbs and adventures. When such occasions have arisen, our climbers regularly praise these adjustments as highlights of their expeditions. Alpine Ascents has a full gear department ready to assist with your climbing questions and preparations. We have a full-time gear staff and a retail store. 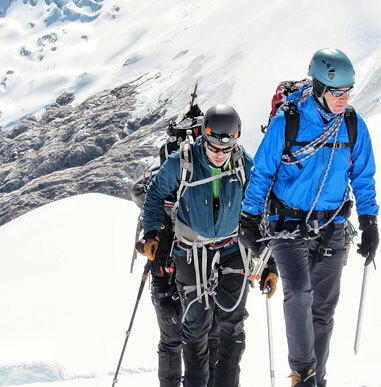 All Alpine Ascents climbers receive a discount on each purchase in our gear store. 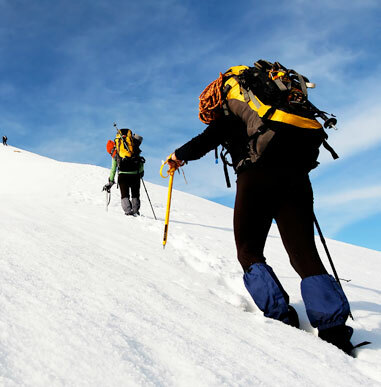 Alpine Ascents is known worldwide for the unparalleled quality of its guide staff. While many other outfitters are little more than a “one-man show,” we offer trips led by professional mountaineers. We have great flexibility in guide staff, full-time office support, logistics and access. And we have information for other great climbs around the world. Yes – I enjoyed it very much! The two days were filled with good instruction, focus on safety, and great support. Both our guides kept the team on task and were very clear on directions and importance of safety.